Electronic Software Download. No physical media/DVD will be shipped.Download link and product key will be emailed after payment has been made. All orders will be verified first before product is emailed within 24 hours. PayPal and credit/debit cards are accepted at checkout. 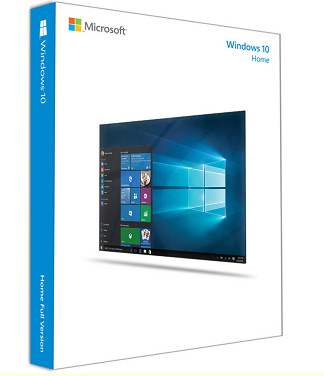 Install the 64-bit Windows 10 Home operating system from Microsoft on your notebook or desktop to enhance it with a hybrid Start Menu, Microsoft Edge web browser, and Cortana personal assistant. Without leaving the Windows desktop to access your apps, the hybrid Start Menu in Windows 10 Home looks similar to the menu in Windows 7 and combines it with the live tiles used in Windows 8's Start Screen. The Start Menu has been enlarged to include these tiles, which can let you view how many email messages you have, the current weather status, and more. In addition to the live tiles, you still have enough room on the Start Menu to pin your most frequently used apps and files.